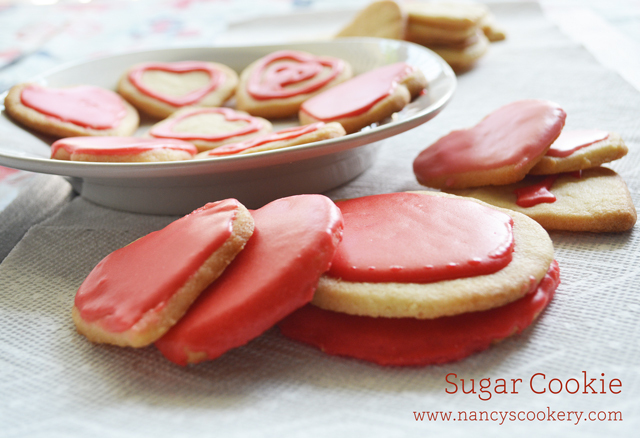 Classic sugar cookie recipe - Sugar cookie, of course it has more sugar and sometime we can beak the diet have this delicious classic cookies. It has more butter and sugar. Inspite of all this, it makes a good and perfect tea/coffee time snack. So Once in a while we can make cookies. This is the first time I made cookie and hubby loved it, especially with mixed nuts. 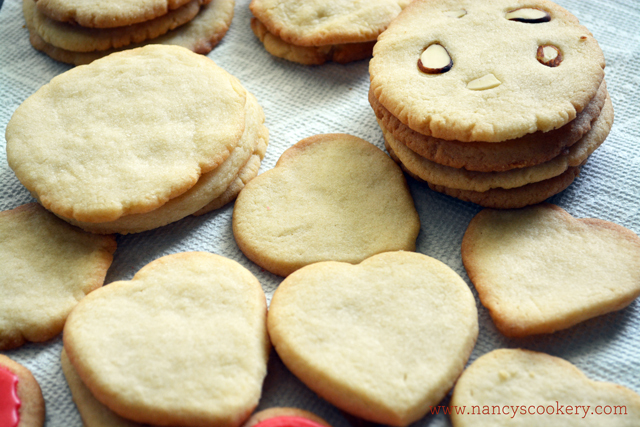 My toddler also enjoyed some of these cookies.I detailed this below in the recipe.And various versions of sugar cookies, I have given them in this one recipe, it's easy, just make sure you check, the step-wise picture explanation for this variety of sugar cookies. Made a small batch of all kinds and hubby loved the nutty cookies. If you want more tea/coffee time baked goodies, be sure to check out my Raspberry scones recipe. 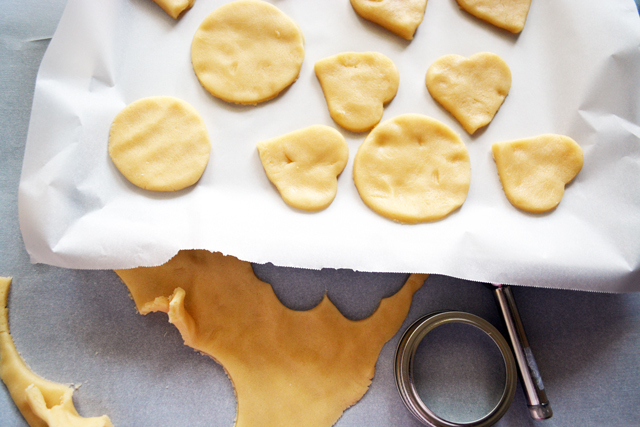 Preheat oven to 375 degrees F and line a cookie sheet with parchment paper and set aside. 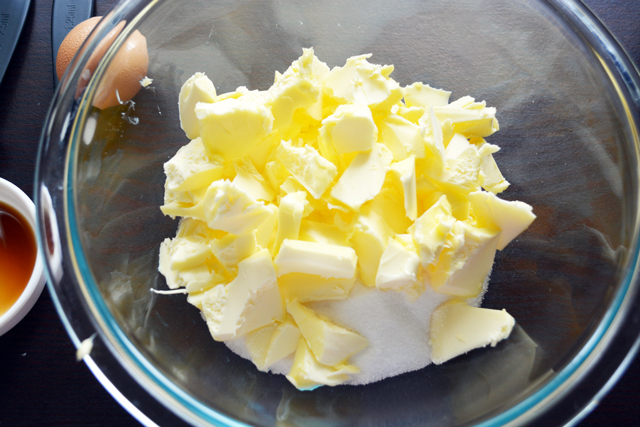 Mix together all the dry ingredients (flour, salt, baking powder) in a small bowl and Cream together sugar and butter in a large bowl until they become light in color. 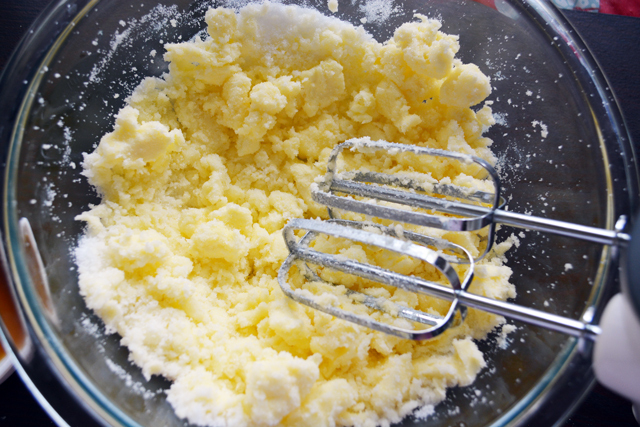 Then beat in the egg and vanilla together with the butter and sugar mixture. 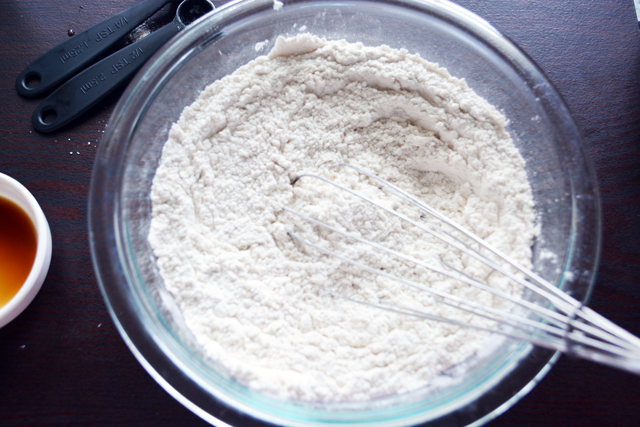 Now add the flour mixture gradually and beat together until they are blended well. 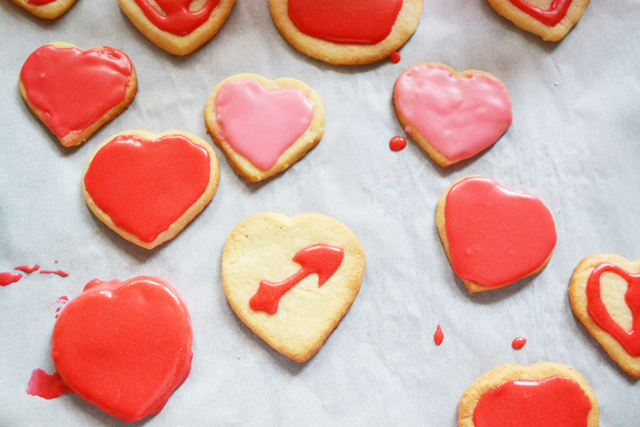 Scoop the dough with tablespoons or make small balls out of the dough and gently press in the middle with your fingers or cut into desired shape cookie cutters. 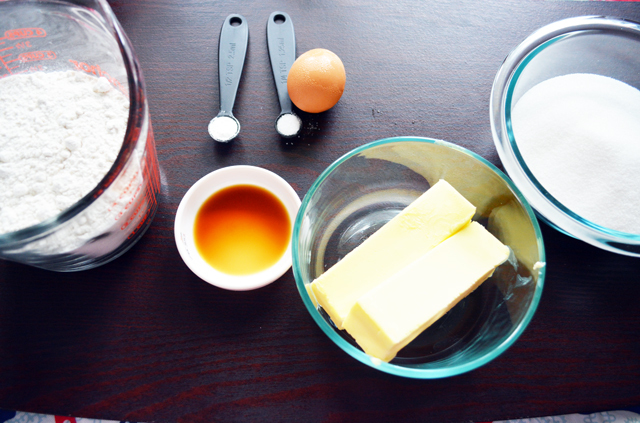 Bake the cookes for 8 to 10 minutes or until they are slightly browned. Now for the icing/frost, blend all the ingredients given under icing and dip the top of the cooled cookie into the icing or paint with a brush. 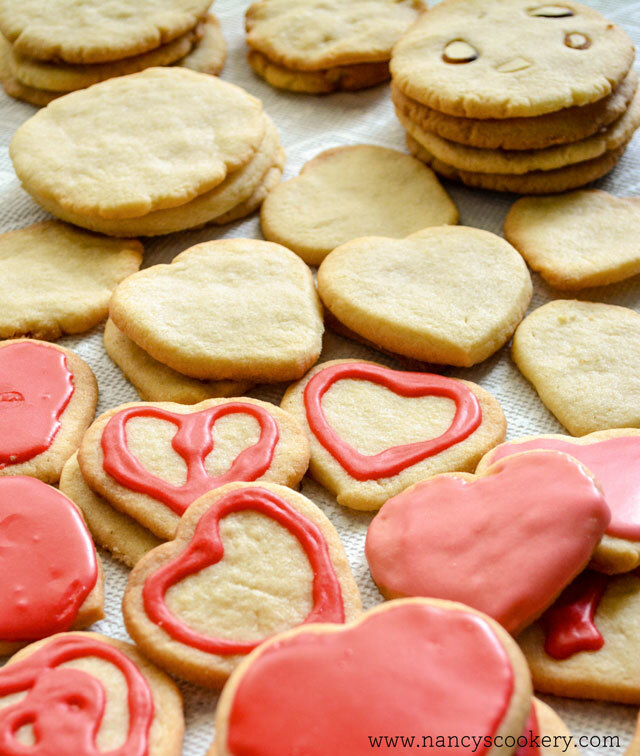 Let the icing air dry and then enjoy the cookies. Get all the ingredients ready beforehand and preheat the oven to 375 degrees F, line the cookie sheet with parchment paper. 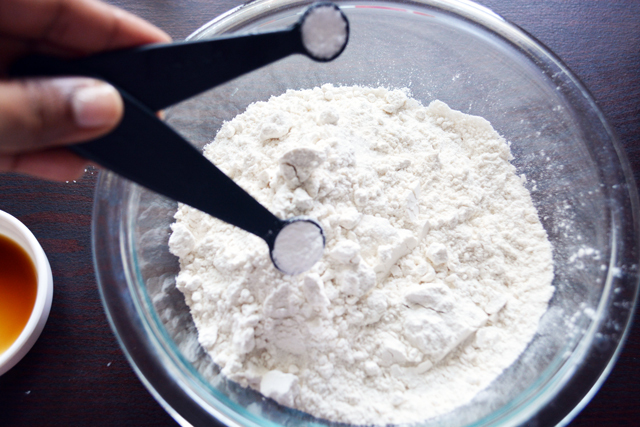 Add all the dry ingredients flour, salt and baking powder in a small bowl. 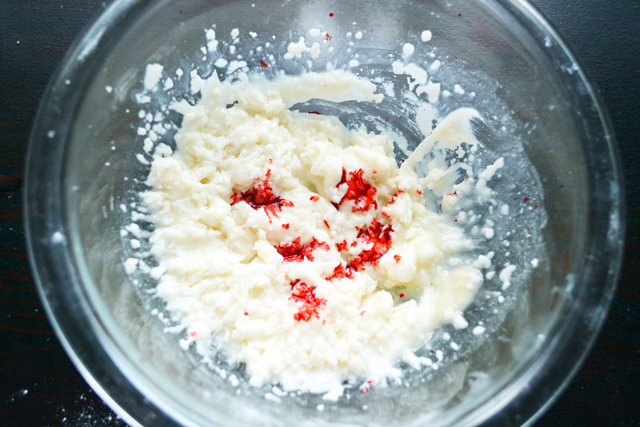 Stir them together until they are mixed well. 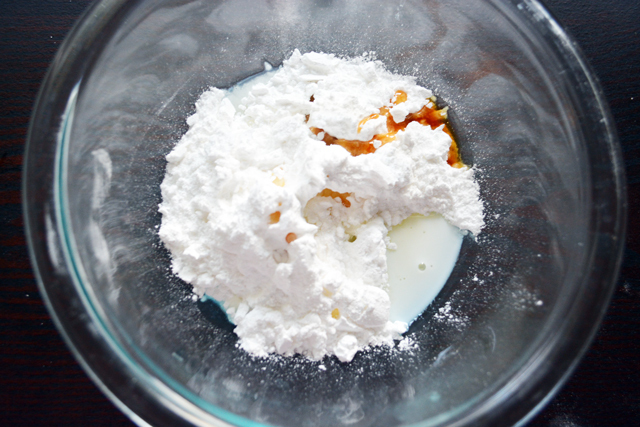 In another large bowl add in the sugar and softened btter cut into chunks for easy blending. 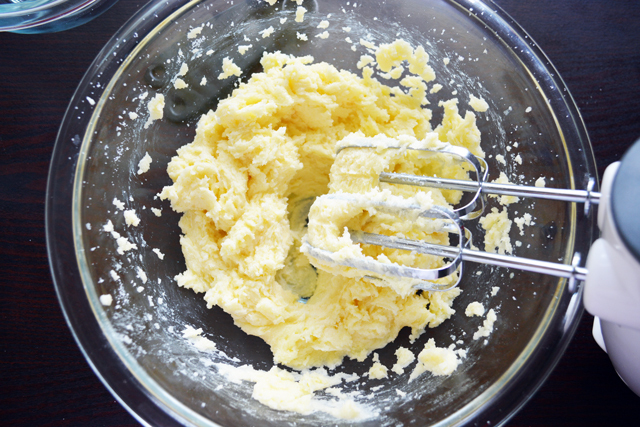 Beat them with a mixer, electric stand mixer or hand mixer. The butter and sugar didn't blend well after beating them. So I mashed them together with a spoon. Do whatever works for you, just cream them together. Now add the vanilla extract. 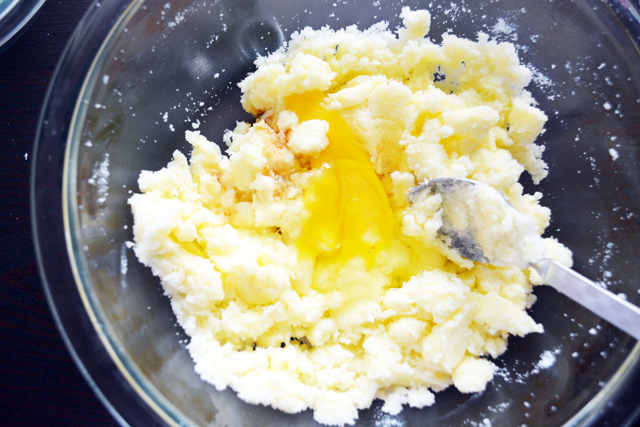 Break a large egg into the bowl. Beat them together untill they become fluffy. 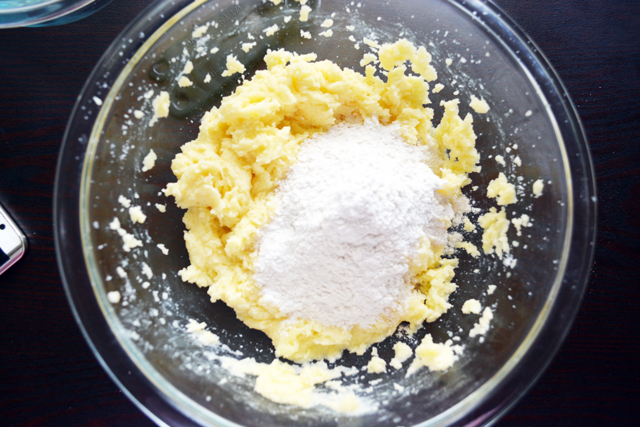 Gradually stir in the flour into the bowl in small batches. Beat it together until the dough starts pulling from the sides and now ithas formed a non-sticky ough, see the below picture. 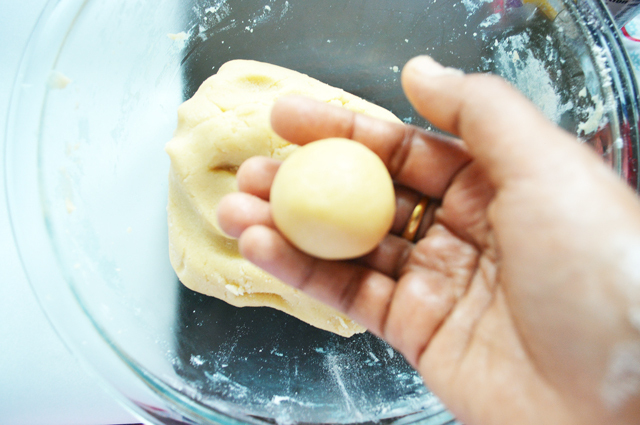 Scoop balls from the dough using tablespoons or make small balls from the dough using your hands. 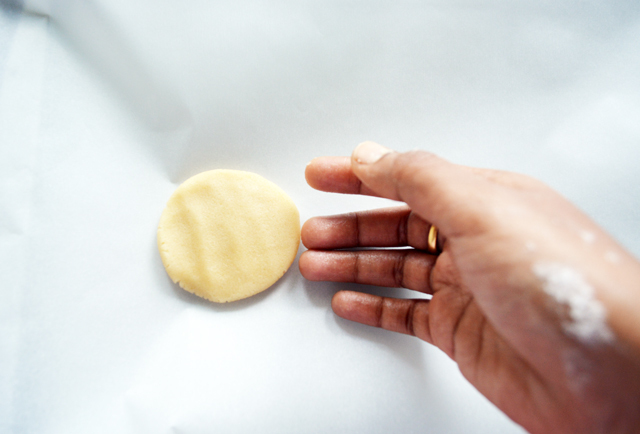 Or pat the dough into large half inch high circle and cut it into desired shapes using cookie cutter. Be creative in making different shapes. As you see in the picture I made big cookie circles with a jam bottle lid. 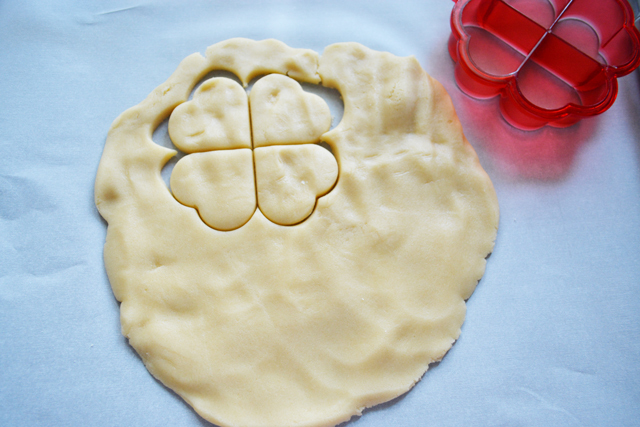 Gather the remaining dough from the shapes into another ball and roll it. 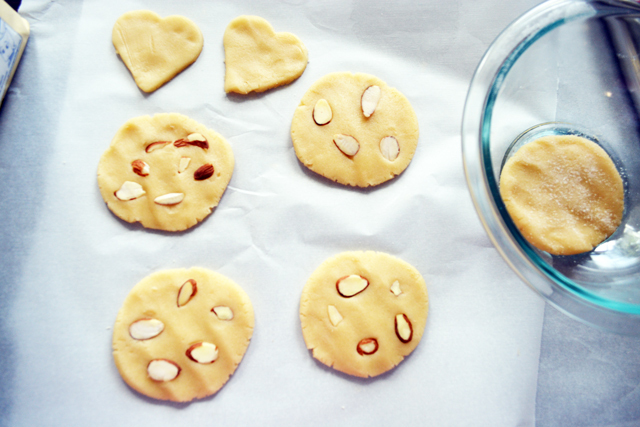 You can also embed or gently press blanched/chopped nuts on the top of the cookie or mix them with small batch of dough and then cut into shapes. 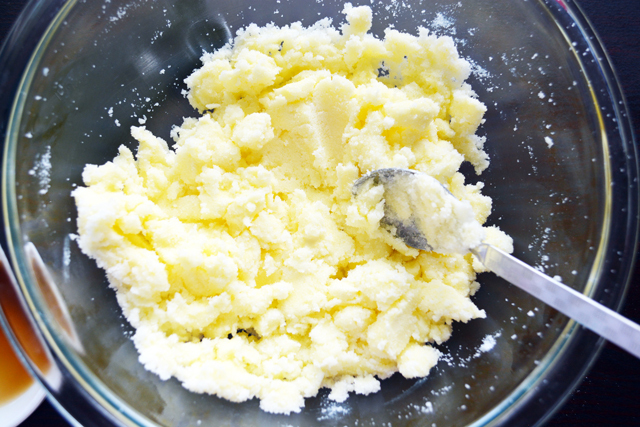 Also if you like, roll the patted cookie over sugar in a bowl. 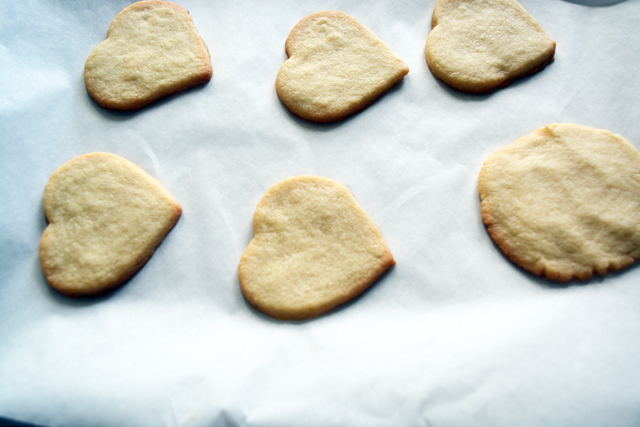 Now place the cookies in the lined sheet and bake it for 8 to 10 minutes or slightly browned. 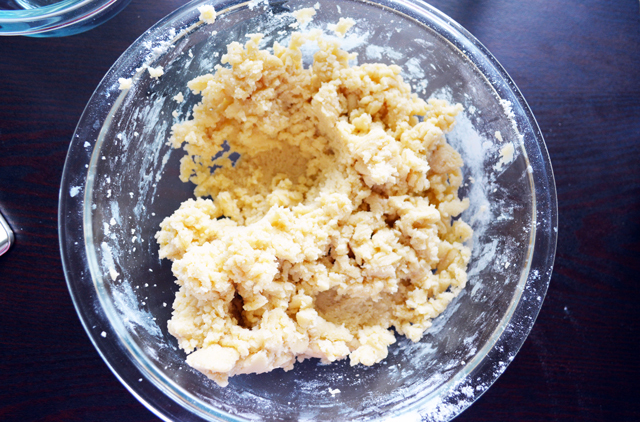 The cookie bake time varies to the size and depth of cookie rolled. Cool the cookies on a wire rack and enjoy them . If you want icing continue further to the next step. 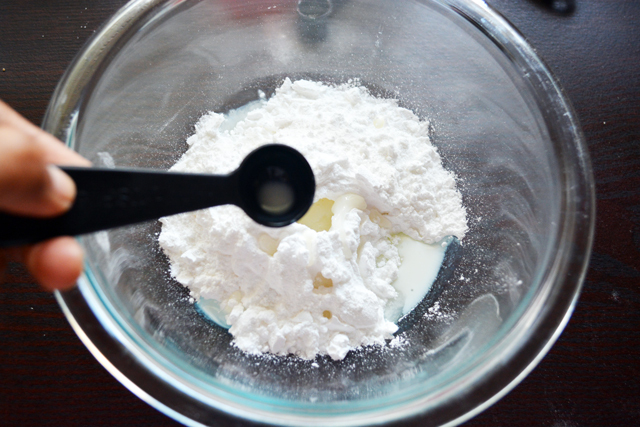 Now for the sizing, use powdered sugar/ powder the sugar and add milk to it in a bowl. 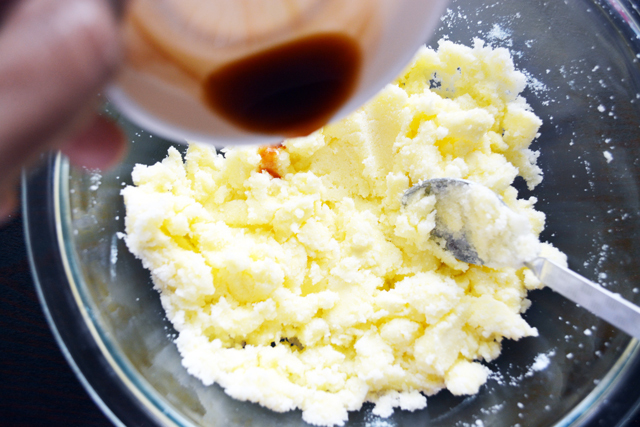 Pour the vanilla extract to the bowl and stir them well. 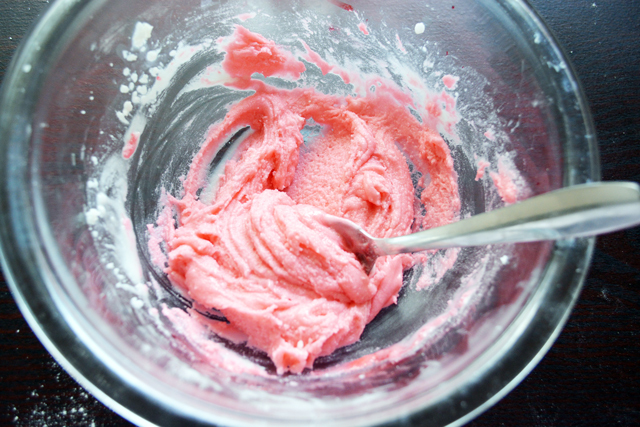 If you wish colored icing add food color into the bowl. Stir them together and add more coloring if needed. My red coloring was pink with less drops of food color. 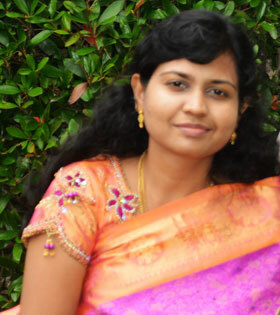 Then I added more drops to achieve the red color in the picture below. If you think the icing is too thick add little milk, If it became too runny adjust with powdered sugar. Dip the top of the cookie into the icing or paint it with a brush or draw some rawings using ahole cut in the ziploc or the the cone.